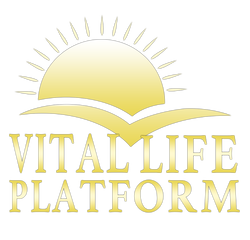 Cellular Communication | Vital Life Foundation - Vital Life Platform | Better Than Ever! THIS IS THE MOST IMPORTANT PRINCIPLE! Spiritual, Mental, Emotional aspects of life. Spiritual: Attitude of Gratitude. Conscious Breathing. Stay Present. Mental: Recognize we are spiritual electrical, unlimited beings. Every experience is a lesson and an opportunity to learn and grow and expand. Emotional: Learn to love life, be joyful, be radiant, accepting and non-judgmental of yourself and others, and create peace and harmony everywhere you go. Prayer, meditation, and the communication between the self and the Higher Self is one of the most valuable tools to have to live a GREAT LIFE! In each moment we have the choice to love or hate, condemn or encourage, destroy or create. Once we make a Declaration to live an abundant, joyful life, that Declaration then begins to govern the direction and results in our life. ​So it's important to ask ourselves, how do I want to live? What am I committed to? How to I want to feel and think moment to moment? What do I want to believe? How do I want to conduct my life with people, food, my purpose? The most essential point about the Principle of Cellular Communication is that of LOVE. Love for yourself, and love for all others. Breathing pure compassion and honor and respect into every word, thought and deed - to the best of our ability in this moment. Remember The Golden Rule. Your life situation is your creation. Creating a Declaration is a powerful tool for getting clear about the direction of your life. Decide what you want, who you are, who you are becoming, what you believe, how you want to think & act. Creating a Declaration is a critical key to mastering the art of living a Lean, Clean and Serene Life - especially if you Declare that for yourself in your declaration! Touch the beauty of life around you through the practice of awareness. Simply observing the sky, or a flower without any preconception, just being aware of it begins to open the majesty of the moment. ​Developing a practice of mindfulness allows us to experience happiness in it's richest source - through recognizing the beauty all around us and focusing on all the magnificent blessings in front of us now. Pranayam is the Science of Breath. Breath is one of the most powerful tools we have to consciously co-create our reality with joy, peace, healthy and abundance. ​There are many types of breathing techniques that allow the body to relax, detoxify, oxygenate, tone, regenerate and revitalize the body and its systems. Deliberately choosing what thoughts you think and what words you say will tremendously empower your ability to create your life the way you want it. ​The word mantra in Sanskrit is to "direct the mind," 'man' mind and 'tras' to direct. Therefore, as we calmly hold a thought and pay attention to how we feel, naturally we become relaxed and balanced on many levels. Sometimes just writing your thoughts down can be very enjoyable and relaxing. This is an example of a digital mind-map that just demonstrates someone's state of mind. ​Some mindmaps can just be projects you are working on, or all the things you are wanting, or your goals, or significant events that have happened in your life. Get creative and start having fun with it. Kundalini Yoga is not a Religion. It simply gives you a union with your origin. It gives you the experience of the Real You within You. It doesn't matter if you are Christian, Jewish, Muslim Buddhist or Atheist because Kundalini is just a name for the "Vital Life Energy" In All. Yogis call it Prana, Christians call it Holy Spirit, Martial Artists call it Chi, and Scientists call it Bioenergy.It's the energy of Chi Gong, Tai Chi, Acupuncture, Reflexology, Tantra, Hypnosis, Metaphysics, Faith Healing, and Life. 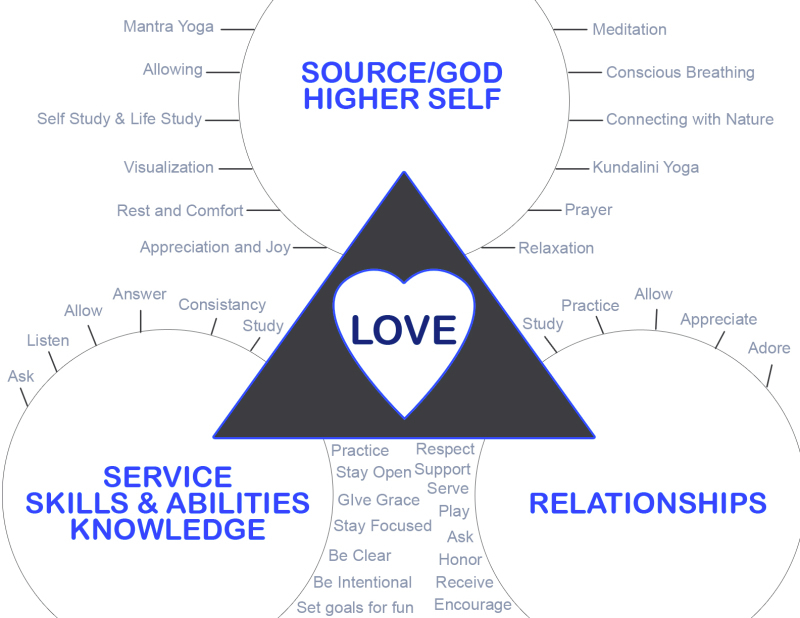 Kundalini Yoga is a science , a technology to bring more of this energy into your life. It gives one a Life full of health, happiness and prosperity. It is the common denominator for all forms of self-healing, inspiration, and transformation. It enables us to harness the energy of the mind and emotions, so we can be in control of ourselves, rather than being controlled.